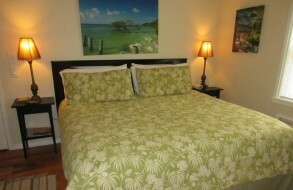 We are a traditional family owned and operated Key West Guest House. As your hosts, our mission is to make our Inn your home away from home. We hope you will fall in love with Key West, as we have, and will make many return visits to Suite Dreams Inn by the beach. All of our guest accommodations are listed below with detailed descriptions of the amenities we offer. Our suites have recently undergone a makeover with new furnishings, linens and have been tastefully decorated with local artwork to add to the appeal of our charming boutique guest house. 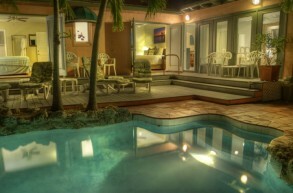 In fact, our Hemingway Key West Retreat has been voted the number one suite on Key West. For your convenience, we’ve made it possible to choose your suite, check availability, and book your accommodation online! Or you can call us directly and we will make your reservation for you. Please contact us for details and pricing for large groups looking to rent the entire property, special discounts, and perks for frequent guests. 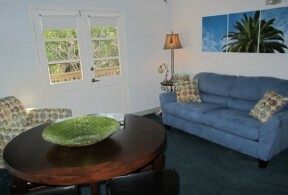 Escape the hustle and bustle of the work a day world and join us for your Key West Suite Dreams vacation, while staying at the coolest, coziest spot on the Southernmost Island, Suite Dreams Inn by the beach! 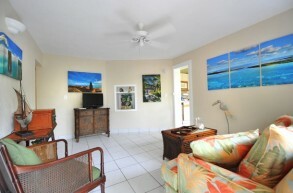 At Suite Dreams Inn by the beach, we pride ourselves in providing clean, comfortable and peaceful accommodations. We also believe in rewarding excellent service in the preparation of guest accommodations, any follow-up service that guests may require during their stay as well as addressing service that falls short of expectations. Therefore we have provided Gratuity Envelopes in every suite to allow guests to reward our housekeeping staff with a financial gift for good service. For stays over three consecutive nights, in selected suites, we reserve the right to provide the convenience of a billed gratuity of two percent of the guest’s room charges, to be included in your bill upon check out. If you wish to leave an additional gratuity, it would be a further sign of your enjoyment of our good practices and so appreciated by our staff. We appreciate our guests’ need for flexibility. We happily provide early check-ins and late check-outs for our guests based upon availability. We always offer the opportunity for guests to leave luggage in their suite or another secure location on our property if they need that convenience. If guests need to make full use of their suite prior to the traditional 3:00 PM check-in or after the traditional 11:00 PM check-out we will need to charge $10 for each portion of an hour the accommodation is used prior to or beyond these times. 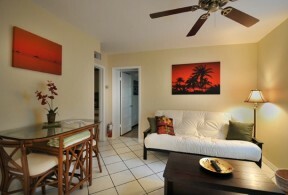 Availability of this convenience depends upon the arrival or departure time of other guests previously scheduled. We understand that plans can change and reservations may need to be canceled, however, the process of booking reservations has a set of costs which Suite Dreams Inn cannot recover if the reservation is canceled without a fee. In all cases, if you need to cancel a reservation we will retain 4% of your deposit paid in order to cover a portion of our cost of taking and canceling your reservation. Our cancellation policy requires guests to cancel at least 30 days in advance to receive a full refund of funds paid, minus a 4% cancellation cost recovery. If cancellation takes place within 30 days of a reservation, your deposit will be retained. If a cancellation is made within 14 days of a reservation, the full cost of the reservation plus tax will be charged. Reservations for certain holidays including but not limited to Fantasy Fest week, Christmas week and New Years week will be charged the full reservation amount at the time of booking and are non-refundable regardless of cancellation date. If you must cancel any non-refundable bookings you will have the option of receiving a credit toward a future booking at Suite Dreams Inn by the beach made via phone or through our website within the next calendar year from your canceled reservation. We always recommend purchasing travelers insurance, as we are unable to automatically refund deposits due to cancellations resulting from illness, weather or acts of God. However, cancellations for these reasons will be refunded (minus a 4% cancellation cost recovery) if we can re-sell your room prior to your canceled arrival date. If we cannot re-sell your room we will give you a credit (for the full amount you pre-paid for your canceled reservation) toward a future booking, made within the next 12 months after your canceled arrival date, at Suite Dreams Inn by the beach or any of our other properties.